We’ve already seen that modern social media come from a long lineage of primitive predecessors — from the florilegia of the Middle Ages, which predated Tumblr by half a millennium, to Voltaire’s Republic of Letters, the Facebook of its day, to Edison’s early “viral” cat videos to Félix Fénéon’s analog “Twitter” of early 20th-century France. But it turns out social media originated even earlier than that, in ancient Rome. 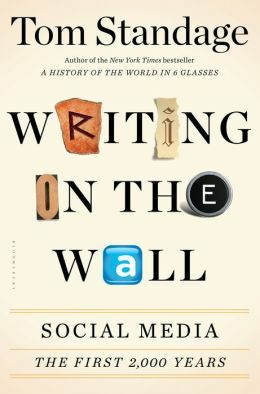 In Writing on the Wall: Social Media — The First 2,000 Years (public library), history-whisperer Tom Standage takes us to task with debunking our presentism bias by tracing the surprising, scintillating history of what we know as “social media” today. And it turns out we owe it all to the famed Roman statesman Cicero. At the time there were no printing presses and no paper. Instead, information circulated through the exchange of letters and other documents which were copied, commented on, and shared with others in the form of papyrus rolls. Cicero’s own correspondence, one of the best-preserved collections of letters from the period, shows that he exchanged letters constantly with his friends elsewhere, keeping them up to date with the latest political machinations, passing on items of interest from others, and providing his own commentary and opinions. Letters were often copied, shared, and quoted in other letters. Some letters were addressed to several people and were written to be read aloud, or to be posted in public for general consumption. 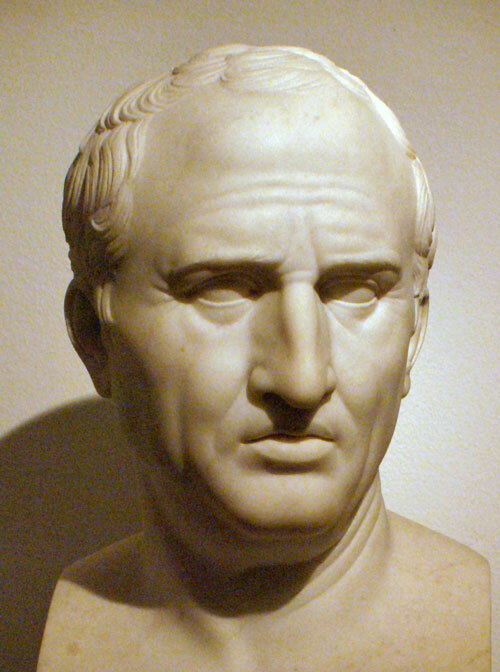 When Cicero or another politician made a noteworthy speech, he could distribute it by making copies available to his close associates, who would read it and pass it on to others. Many more people might then read the speech than had heard it being delivered. Books circulated in a similar way, as sets of papyrus rolls passed from person to person. Anyone who wished to retain a copy of a speech or book would have it transcribed by scribes before passing it on. Copies also circulated of the acta diurna (the “daily acts,” or state gazette), the original of which was posted on a board in the Forum in Rome each day and contained summaries of political debates, proposals for new laws, announcements of births and deaths, the dates of public holidays, and other official information. As he departed for Cilicia, Cicero asked his friend and protégé Marcus Caelius Rufus to send him copies of each day’s gazette along with his letters. But this would be just part of Cicero’s information supply. “Others will write, many will bring me news, much too will reach me even in the way of rumor,” Cicero wrote. With information flitting from one correspondent to another, this informal system enabled information to penetrate to the farthest provinces within a few weeks at most. News from Rome took around five weeks to reach Britain in the west and seven weeks to reach Syria in the east. Merchants, soldiers, and officials in distant parts would circulate information from the heart of the republic within their own social circles, sharing extracts from letters, speeches, or the state gazette with their friends and passing news and rumors from the frontier back to their contacts in Rome. There was no formal postal service, so letters had to be carried by messengers or given to friends, traders, or travelers heading in the right direction. 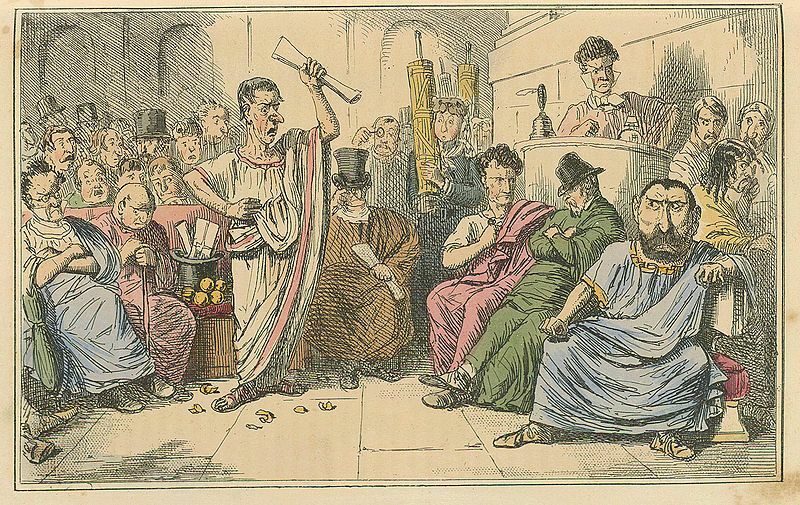 The result was that Cicero, along with other members of the Roman elite, was kept informed by a web of contacts— the members of his social circle — all of whom gathered, filtered, and distributed information for each other. Other notable examples include the circulation of letters and other documents in the early Christian church; the torrent of printed tracts that circulated in sixteenth-century Germany at the start of the Reformation; the exchange and copying of gossip-laden poetry in the Tudor and Stuart courts; the dueling political pamphlets with which Royalists and Parliamentarians courted public opinion during the English Civil War; the stream of news sheets and pamphlets that coursed through Enlightenment coffee houses; the first scientific journals and correspondence societies, which enabled far-flung scientists to discuss and build upon each other’s work; the pamphlets and local papers that rallied support for American independence; and the handwritten poems and newsletters of prerevolutionary France, which spread gossip from Paris throughout the country. Such social-media systems arose frequently because, for most of human history, social networks were the dominant means by which new ideas and information spread, in either spoken or written form. The advent of the steam-powered printing press, followed in the twentieth century by radio and television, made possible what we now call “mass media.” These new technologies of mass dissemination could supply information directly to large numbers of people with unprecedented speed and efficiency, but their high cost meant that control of the flow of information became concentrated in the hands of a select few. The delivery of information assumed a one-way, centralized, broadcast pattern that overshadowed the tradition of two-way, conversational, and social distribution that had come before. Vast media empires grew up around these mass-media technologies, which also fostered a sense of national identity and allowed autocratic governments to spread propaganda more easily than ever before. But Standage’s most important point, which he goes on to examine in detail inWriting on the Wall, is that much like the technologies themselves, the concerns about them are nothing new. What a historical exploration of these analog antecedents afford us is not only more dimensional perspective on our present preoccupations with social media but also the ability to discern the habits, attitudes, modalities, and information systems that best serve our needs as individuals, as communities, and as a civilization.